AssataSAYS.com » Blog Archive » Have You Joined Fab? 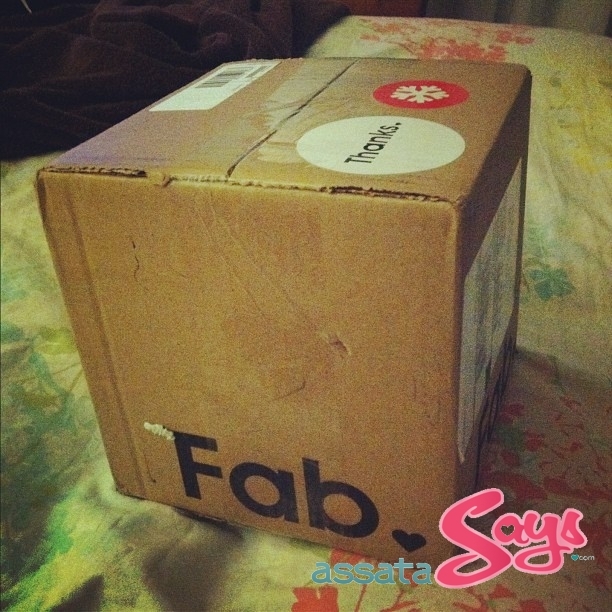 Yesterday I received my second order from Fab.com. I instagrammed pictures of both items and got more inquiries than I thought I would. Fab.com is just like any other daily deal site except design is the main focus of every sale. Fab.com is “on a mission to be the world’s most valuable design resource.” And, they’re well on their way. 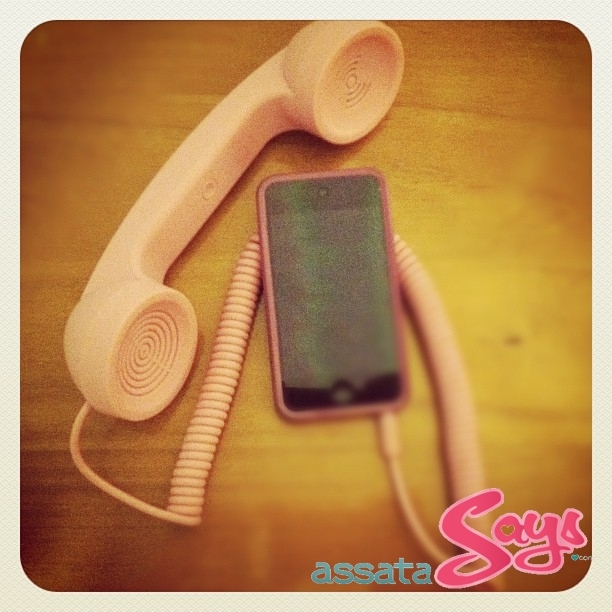 The first thing I ordered was the Pop Phone (Native Union Moshi Moshi Retro POP Handset for iPhone,…). I had seen it on Amazon over a month ago but wasn’t sure I wanted to pay $30 for something I didn’t really need. After a little bit of waiting, the phone showed up on Fab so I ordered it. I posted the pic below and got a bunch of comments on it. I saw the same phone in Urban Outfitters yesterday for $36. I REALLY like the handset so $36 is reasonable but it’s way too much since, now you know, you can get it for less than $30. After making that purchase, I ended up with a $15 credit on Fab. I waited a bit before using it so that I could spend my credit on just the right thing. And then I saw the sale that included Black and Blum’s very well designed lunch box kits. I first became aware of the design partners from Fast Company in an article titled 5 Steps to Designing the Ultimate Lunch Box. 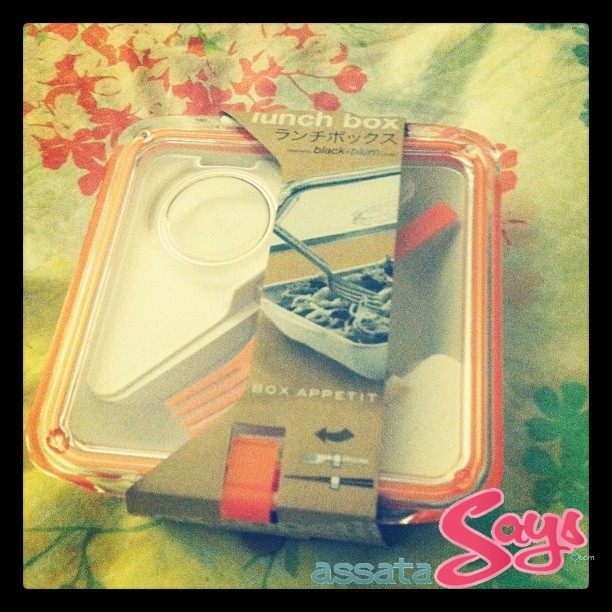 The Box Appetit lunch box which retails for $22 went on sale at Fab.com during Thanksgiving week for $15. Of course, I was happy because the only thing I would have to pay for was shipping! My box came last night and I brought it with me to work today. I’m hopping that I enjoy using it as much as I like looking at it! To check out the sales Fab.com has up this week, click here. More importantly, to join Fab.com, click here. This entry was posted on Tuesday, December 13th, 2011 at 9:00 am	and is filed under FASHION, TECHNOLOGY, VIDEO. You can follow any responses to this entry through the RSS 2.0 feed. Both comments and pings are currently closed.